MANUFACTURED in 1935, Serial No. 12310. Introduced in 1935, the Model 48 could hold up to seven magazines. The Whittaker machine is the standard model with four magazines, but a side unit holding another three magazines was available. The 48 featured a Rapid Magazine Change system. 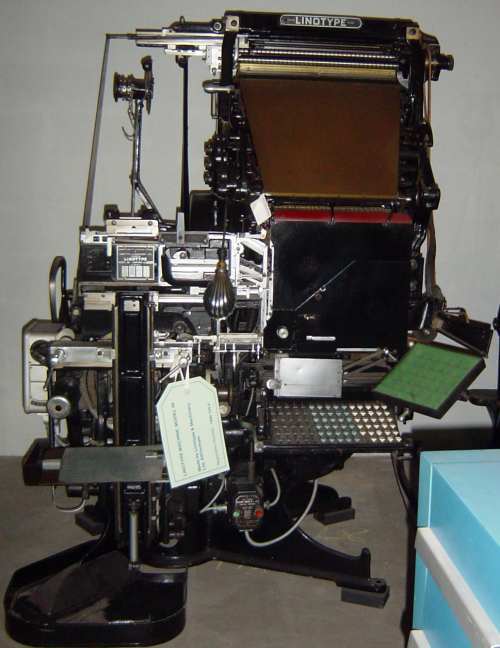 Linotype claimed it allowed the operator to change from one magazine to another in one second. The 48 was marketed for its speed and versatility. In 1954, Linotype were still claiming that it was the fastest and most up-to-date composing machine available to printers.